that cleans both visible and invisible stains. Exercising is an important aspect of a healthy lifestyle. Unfortunately even after washing with regular detergent some exercise gears tend to have lingering sweaty odours. There is a solution we can pursue for a healthier lifestyle while taking on the challenge of cleaning the resulting odourous clothes. 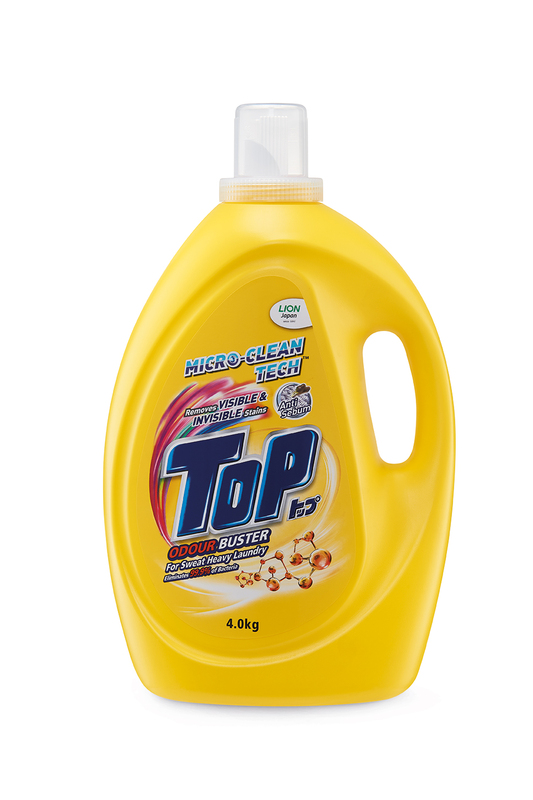 TOP, the NO.1 detergent brand in Malaysia with its TOP Odour Buster variant that uses breakthrough Micro-Clean Tech™ technology that cleans both visible and invisible stains. Participants in the Score Run, the Spartan Race and the Brooks KL City Run experienced the odour busting capabilities of TOP Odour Buster liquid detergent as TOP was one of the co-sponsors of these runs, and provided TOP Odour Buster 300gto more than 40,000 people. Working from the premise that run participants would work up a heavy sweat, TOP put its hard-working Odour Buster variant to the test. Feedback from run participants who have used the product has been overwhelmingly positive. The secret to TOP Odour Buster’s odour banishing capabilities is TOP Micro-Clean Tech™‘s anti-sebum technology that pulls out trapped sweat and sebum, as well as other trapped molecules from fabric cores. The revolutionary formulation maintains the TOP Anti-Malodour and Anti Mite-dust detergent functionalities that Malaysians have come to know and trust from the brand. Trapped sweat and sebum (body oil) molecules cause the yellowing of white and light coloured fabrics, and dullness of colored fabrics. These trapped sweat and sebum stains once broken down by bacteria are the main cause of the unpleasant odour around armholes, sleeves and collars, even after clothes have been laundered. 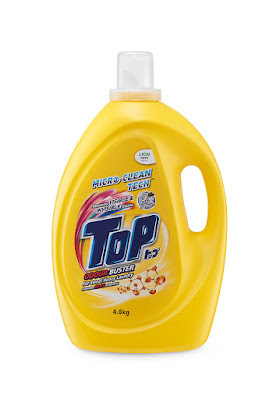 Just one wash with TOP’s Odour Buster liquid detergent will revive and refresh even fabrics that have heavy sweat build-up by removing trapped sweat stains to prevent 99.9% of odour causing bacteria from growing,thanks to its Micro Clean Tech™ detergent technology. Laundry water will be murkier as odour causing sweat and sebum, as well as other stain-causing molecules are thoroughly removed. Southern Lion Sdn Bhd General Manager, Ms Carmen Foo said that TOP Odour Buster liquid detergent was developed in line with its brand promise of Innovation for Better Living. The brand invests in consumer insights to uncover real-life issues and increase the performance of its products. “We were fully confident that TOP Odour Buster could take on even the sweatiest of active wear. Many of the participants who put our samples to the test have switched over because it work,” she said. “Active consumers understand the stress of washing their active wear multiple times and still catching whiffs of sweaty odours. TOP Odour Buster works to remove these trapped sweat stains and counter the bacteria that grows in active wear for a refreshing clean scent and a confident wear,” Ms Foo added.